PRAYER PROMPT ••• The future holds many things: fear, uncertainty, and doubt, to name a few. It also holds potential joy, but it’s not as natural for us to look at the horizon and see that possibility. It’s easier to brace for a traumatic impact rather than run face-first into the unknown. God knew David would be a shepherd who would kill a giant with a slingshot (1 Samuel 17), and that he’d eventually become king of Israel (1 Samuel 16). God also knew David would have multiple wives, including Bathsheba whom he began an adulterous affair with while her husband was on the front lines of war (2 Samuel 11). God knew David inside out (Psalm 139:13-14). But He also knew David would have a repentant heart that would seek and follow the will of God (1 Samuel 13:13-14). And because of that, before David’s life began, God chose the line of David for the very ancestry of Jesus Christ (1 Chronicles 17:11-14). God knew all the details about David’s life well-before David drew his first breath, and David recognized this truth when he penned this Psalm. It’s easy for us to see the good that came out of David’s uncertain future when he was nothing but a shepherd. He was told he’d be king but had to wait 15 years for it to happen. That’s a long time to look at a future, especially when you’ve got the current king looking to kill you (1 Samuel 19)! With all that said, David trusted his future to the hands of God, even amid threats, anguish, bad choices, and regret. 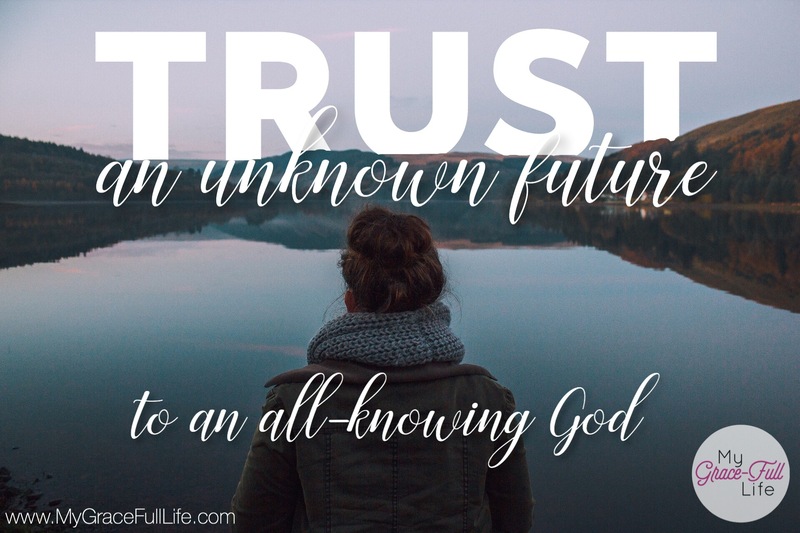 He recognized the sovereignty of God and decided it was okay that he wasn’t sure about the future. Because He was sure God was. It’s a great example of trust to model our own lives after. Today, as you pray, thank God for already knowing what lies beyond the horizon. Remind Him that you know He has good plans for you as promised in Jeremiah 29:11. Ask Him to help you be patient as He prepares you for the future He already knows.